When it comes to pop culture, Alfred Bester (1913-1987) is something of an unsung hero. He wrote radio scripts, screenplays, and comic books (in which capacity he created the original Green Lantern Oath). 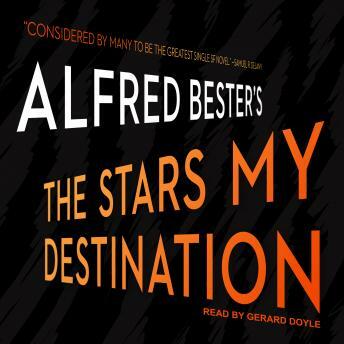 But Bester is best known for his science fiction novels, and The Stars My Destination may be his finest creation. With its sly potshotting at corporate skullduggery, The Stars My Destination seems utterly contemporary, and has maintained its status as an underground classic for over fifty years.